If you like neurosciences, you will find rich material on the appplication of neuroleadership. Carol Dweck is a social psychologist who instigated the current body of knowledge about Growth Mindsets. Microsoft has adopted a Growth Mindset as core to their cultural change and leadership development strategy. CEO Satya Nadella is personally taking ownership of leading a growth mindset with the executive team in his strategy to reform Microsoft’s culture. To understand why (in context of the previous Microsoft culture), watch this 4 minute clip on You Tube for 4 Steps to Developing a Growth Mindset. 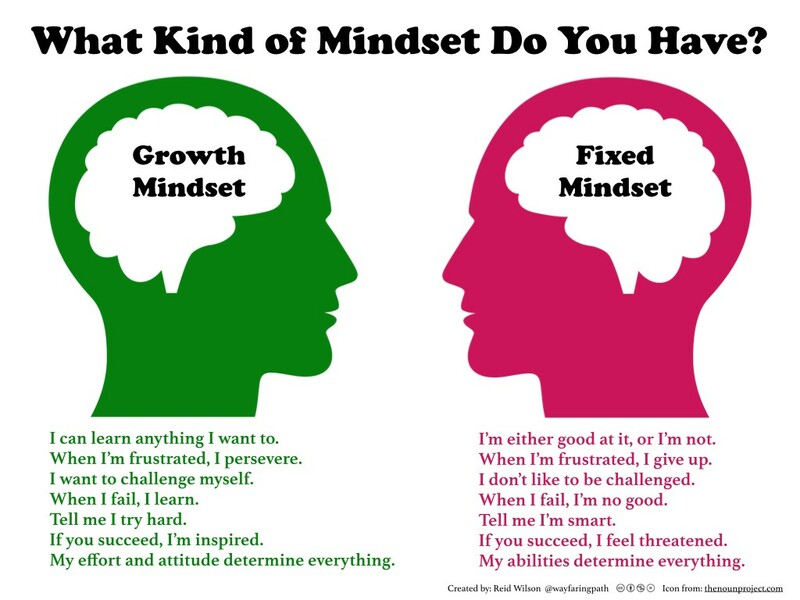 We all have both mindsets. During times of pressure, we can naturally default to a fixed mindset, which limits our ability to see more possibilities, limit effective decision making and closed off to feedback from our environment. Paying attention to our mindset at any given time makes a personal leadership practitioner more effective in achieving personal and professional growth. The more you observe yourself in a Growth Mindset, the more you gain confidence in being adaptable, resourceful and agile.